“As a responsible company, Ucom emphasizes the importance of not only the time of our customers, but also the nature. 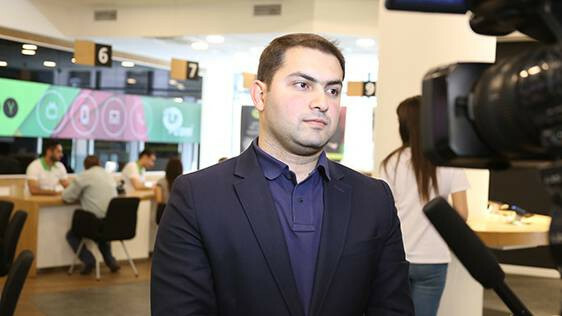 Implementation of e-pens allows to reduce queues in sales and service centers, as well as not to print documents for signing, thus enabling to save paper and responsibly treat the environment, nature, trees. 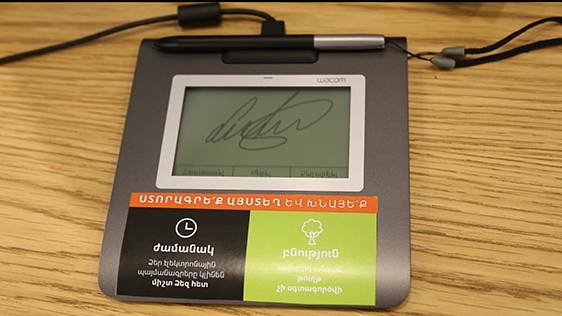 The original document signed with an e-pen is sent to the e-mail address indicated by customer, thus allowing to have the document at hand, where needed,” clarifies Karen Shaboyan, Sales Director at Ucom. The use of pen and paper for making and signing subscription related documents and later, filing of printed copies of original documents, have always been and continues being a big resource-consuming process. Therefore, the e-pen solution is beneficial both for customers and operators. Hence, customers may sign any subscription related documents just the way they sign printed copies of such documents and then keep them in their personal mailbox, without having to print. As for operators, this solution will allow to run electronic database of documents, save resources and make the process of customer service faster. By the end of June 2017 e-pens will be implemented in all Ucom sales and service centers, including regional sales and service centers.